CWB Chicago: Lincoln Square: Charges Filed After Citizen Complains Of "Women Packaging Narcotics In A Minivan"
Lincoln Square: Charges Filed After Citizen Complains Of "Women Packaging Narcotics In A Minivan"
A resident’s complaint about seeing two women packaging narcotics inside a minivan on a Lincoln Square street last week has led to big trouble for a Downstate visitor. Officers responding to the call found the described van parked at 4901 North Winchester, but no one was inside. 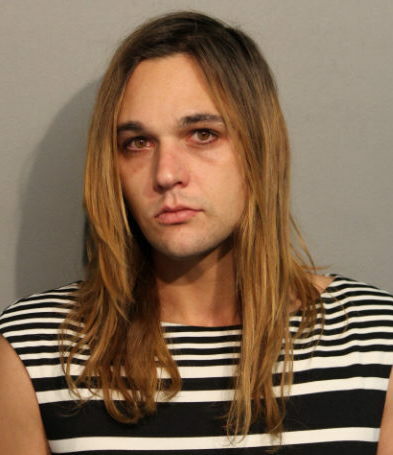 Once Zachary Ritter—who later told police that she is a pre-op transgender woman—and her wife climbed into the vehicle, the officers approached for a chat. One cop “immediately observed” used hypodermic needles in the minivan’s center console along with “pipes used for inhaling narcotics” and a “spoon with white residue” on the dashboard, police said. Police say they recovered 18 grams of methamphetamine worth $1,170; 1 gram of heroin worth $100; and 14 hits of methadone worth $140 from Ritter’s van. It makes you wonder where Ritter "finds" such things. The 31-year-old from Oakford, Illinois, (population 280) is charged with felony counts of possessing 15-100 grams of methamphetamine; possession of methadone; and possession of heroin; as well as misdemeanor counts of possession of drug paraphernalia and possession of a hypodermic needle. Bail was set at $50,000. Ritter’s wife was not charged.